I would strongly guess that this will not be the December Holiday Sale, so grab this one now! ALSO...understand that a 37 marker test gives you matches within good genealogical time (within about 350 yrs on the average), while anything below that puts the time to a common ancestor beyond genealogy records (600 yrs or longer ago). To order this special offer, log in to your personal page and click on the special offers link in the left hand navigation bar. A link to the login page is provided below. ALL ORDERS MUST BE PLACED AND PAID FOR BY MIDNIGHT DECEMBER♠ 1st 2010 TO RECEIVE THE SALE PRICES. ISOGG met at 8:30 a.m. Katherine Borges, director of ISOGG, gave a presentation on the organization and its history. This non-profit society started in 2005 by a handful of people and without any funding. 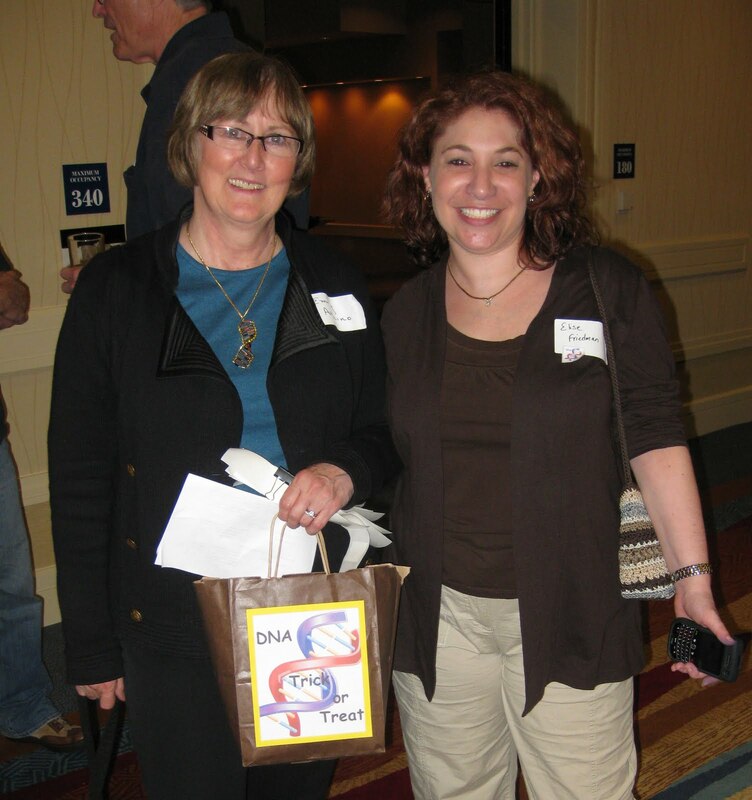 No dues are required and the only goal is to spread the word about Genetic Genealogy. ISOGG rec ently developed the ISOGG wiki page and has many topics to assist researcher of all levels. The ISOGG newsletter is distributed to about 4,400 members. Dr. Bruce Walsh, Professor of Ecology and Evoluntionary Biology at the University of Arizona, presented The Math Behind Family Finder. Dr. Walsh uses the phrase “incorrectly ascertained paternity” instead of NPE (Non-parental event) which is more correct, actually. He exp lained that one chromosome is contributed by each parent, but that chromosome is a combination of both of their parents. He states that autosomal DNA is sliced and diced, but the Y-chromosome does not recombine as there are never two copies in the cell. However, recombination of the X chromosome does occur because there are two copies. Since men have an X and a Y there is no recombination, but of course their X was a recombination of their mother’s two X chromosomes. The Mitochondrial DNA does not recombine, but is passed on as an identical block, except for random mutations. Dr. Walsh also believes that the autosomal chips will have more than a million markers in 2-3 years. Current technology is about 500,000 markers. The Family Finder test can reliably predict relationships for three generations (to the 3rd cousin level). However, fourth and fifth cousins are possible, but not as reliable. Each generation only gets 50% of the previous generations’ autosomal DNA. This means that that in only a few generations there is little to now autosomal DNA from the ancestors. Bennett Greenspan, President and CEO of FTDNA, spoke on Reading Family F inder Results. 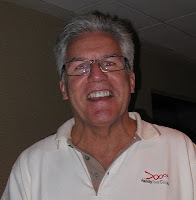 He demonstrated how to use Family Finder test results to solve a 30-year mystery in his lineage. He used the chromosome browser portion of Family Finder to triangulate and determine whether a match is on the maternal or paternal side. Doing so does entail testing the correct level of family members. By testing close family members you can compare them with distant family members to see how where and how much the data overlaps. If you test a close on your paternal side and a close relative on your maternal side, you can compare a distant cousin to each and determine which side they are related. He further explained that small block lengths (or centimorgans, aka cM) means that there is a more distant relationship even if the totally number of matching SNPs is large. He clarified homozygosis and heterozygosis. Our DNA contains four chemical bases (adenine, cytosine, guanine, and thymine or ACGT). There are a pair of these bases at each location along the chromosome, but Family Finder cannot distinguish between them so you see two letters which are always given in alphabetical order. When looking at the raw data and comparing one person to another, the AA from one person matches an AT from another person and a TT matches an AT, but the AA does not match a TT. Therefore, if a person has the same chemical basis (i.e., AA or TT), this is called homozygous, and if the pair differ (i.e., AT) it is called heterozygous. If a person is heterozygous in an area they will tend to match more people, but if those people are homozygous, they will not match each other. That is, if you have an AT at a location and you match two people who are AA and TT, the people who are AA and TT will not match each other. This means you will have matches on your family Finder and those matches will not match each other if you are the one who heterozygous. These matches are usually on smaller segments of the DNA, but get everyone excited in that they are hoping that if everyone matched everyone, they could triangulate the lineages to more easily discover the common ancestor. 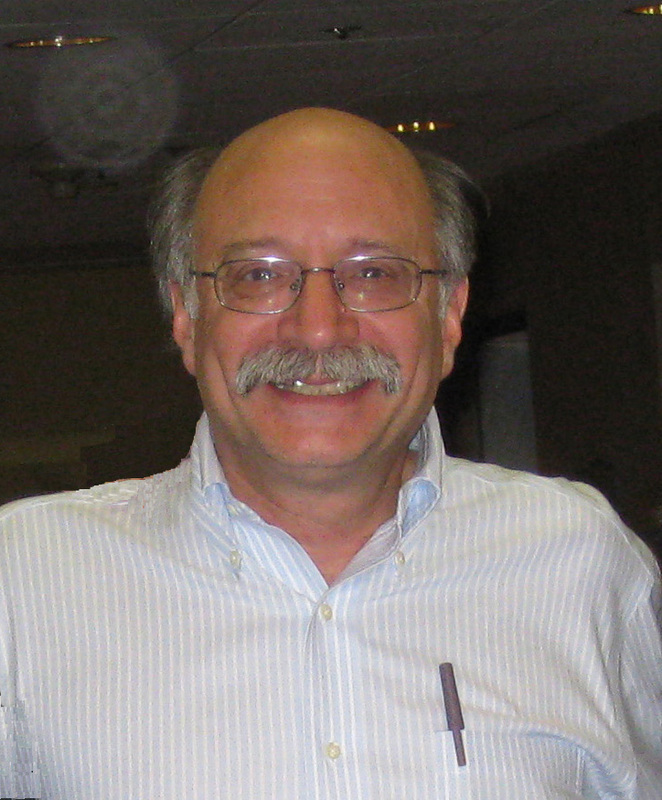 Bennett mentioned that the X-chromosome browser is being developed and may be available in March 2011. Dr. Charmaine Royal’s, the lead author of the ASHG (American Society of Human Genetics) white paper entitled Inferring Genetic Ancestry: Opportunities, Challenges, and Implications. She is an Associate Research Professor in the Institute for Genome Sciences and Policy and the Department of African and African American Studies at Duke University. She stated that the reference populations in commercial databases are usually proprietary and pretty much unverifiable by other researchers. Therefore, a prediction by one company may be at odds with another and there is no way of understanding which information is correct since the databases are not public. 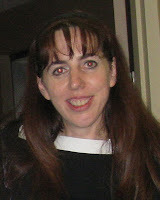 She believes the term ancestry has multi definitions, that consumers and researchers are interested in genetic ancestry for a variety of reasons; that knowledge about human genetic diversity is incomplete; that various tools for assessing genetic and genomic ancestry, but provide limited information on origins of one’s ancestors; and that interpretation of individual DNA ancestry estimates by both scientists and consumers is sometimes unclear. 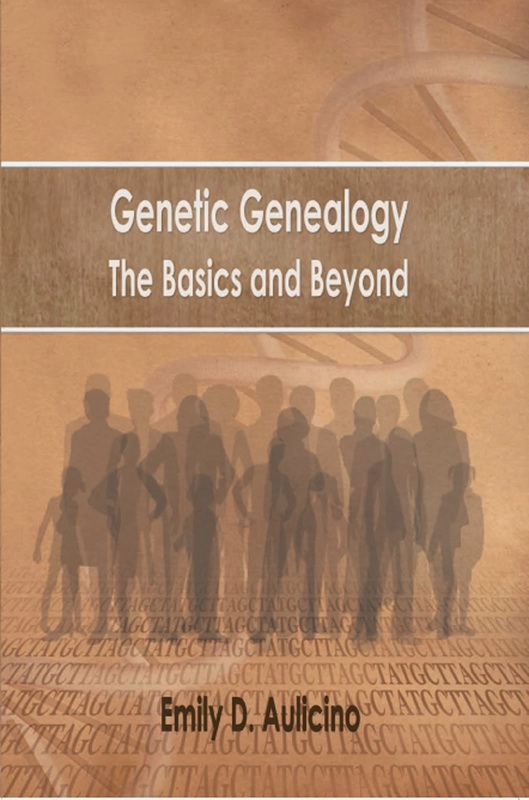 There was more, but these seem to be general statements that assume the genetic genealogists in the group (some of which are scientists) do not understand that genetic diversity is incomplete; that limited information is provided, and there is a limit to information on origins. Let alone genetics, that is so in genealogy! All of this is on-going with only some of it easily predicted. She was concerned that some people testing will not be prepared for the results or will become very concerned and emotional with unexpected results. Everyone in that room is beyond those issues and administrators do explain the possibilities of testing to customers…at least, those I know. Members of the conference as well as Dr. Royal do agree that some companies are making poor predictions based on incomplete research. This hurts everyone and gives a bad name to companies who sell directly to consumers. She stated that the Food and Drug Administration doesn’t have enough time to do its current job, so she didn’t believe that they would place regulations on DTC (Direct To Consumer) testing. She closed with some picky remarks regarding the Family Tree DNA website, stating that it is “one of best.” (As I have not seen one better, I beg her to show me THE best!) She called for a search engine which appears to be something that has been considered. There were minor wording changes she proposed to clarify information to customers who may have little knowledge of the subject. I have a difficult time with someone standing in judgment of genetic testing when that person has not tested her genome. 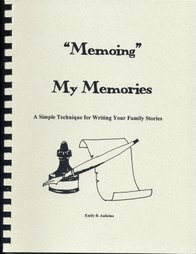 She seems to have no knowledge of how it does help genealogy and has helped many people find not only their ancestors, but their biological parents. Elliott Greenspan in his presentation IT Roadmap gave us the future of Inform ation Technology at FTDNA. He stated that they process about 1 terabyte per hour for customer support and analysis. By next year he forecasts that they will be processing 3.8 Petabytes (A Petabyte is one million Gigabytes). Mine boggling! A new Gedcom viewer as well as new web pages for administrators, termed GAP 2.0, have been implemented. (GAP stands for Group Administrator Pages). GAP 2.1 will be available Spring 2011. These new pages give administrators much more flexibility in manipulating the information in a project. Among other things there will be 110 markers available for testing on the Y-chromosome. Thomas Krahn, Technical Laboratory Manager of Family Tree DNA’s Genomics Research Center in Houston, in his Walk through the Y Update, explained that this is a research program to find new SNPs on the Y-chromosome. At the cost of $750 per sample, they have processed 178 samples so far. In order to get this test now, you must be approved (i.e., be from an unusual haplogroup), and you must know the paternal county of origin. Ninety-six of the participants did not find a new SNP in their DNA, but 137 previously undocumented Y-SNP markers were found for G2, J1, Q, I, and R. Many “private” SNPs have been found at the family or genealogy level. FTDNA has purchased the expensive “next generation” 454 sequencer which will allow a nearly full sequence of the Y.
Dr. Krahn suggested that one should do the Deep Clade test before doing the Walk Through the Y. At the end of his presentation, Dr. Krahn raffled 18 mouse pads printed with the Yq11 Palindromic Region. I was a lucky recipient! Again, there was a closing Panel for Questions and Answers. Each participant received a new version of the Y-DNA Phylogenetic Tree. 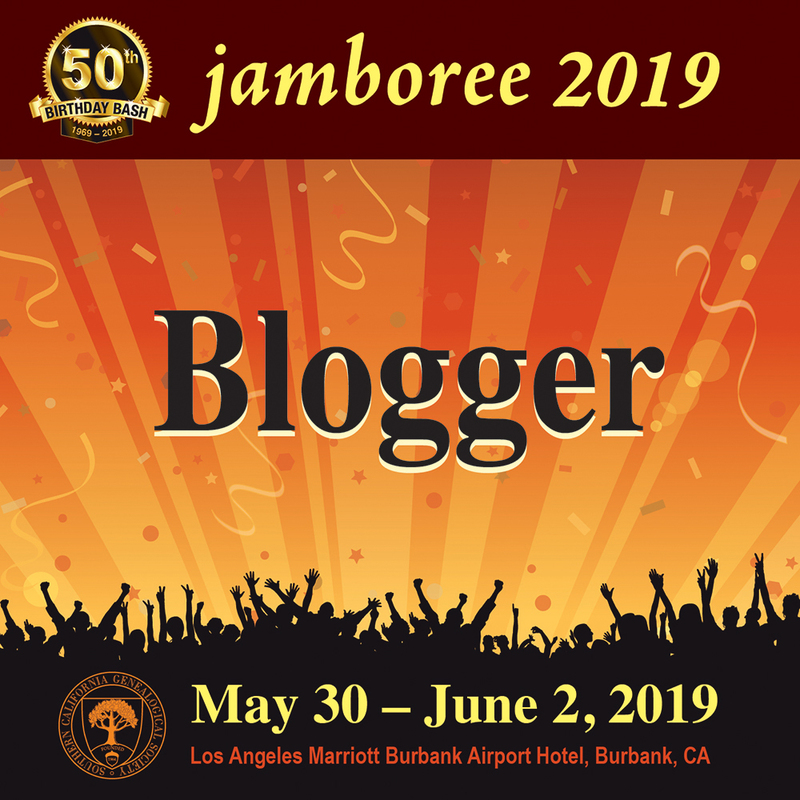 With the 6th Annual International Family Tree DNA Conference at a close, everyone dispersed and many chattering about plans to attend the Who Do You Think You Are? Conference in London at the end of February. Thanks to David Pitts for sharing his notes. Once again Family Tree DNA held a very informative conference for its administrators. Although the size is always limited to about 200 participants or less, it becomes more and more International each year. This year representatives outside of the United States, included Canada, Belgium, The Netherlands, and Russia. It was wonderful to meet these International administrators and thank them for their dedication in promoting DNA testing for genealogy. AND, of course, it was grand seeing all those who have attended in past years. It is much like a family reunion. Surprisingly, this year there were more new attendees than anyone had seen in recent years. This is absolutely wonderful, as it indicates our field is growing. On behalf of all Genetic Genealogists, I thank all of you for coming. 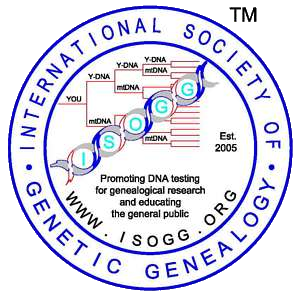 The focus on genetic testing for genealogy grows by the grass root efforts of many individuals as well as the hard work of the members of the International Society of Genetic Genealogy (ISOGG) in promoting this level of genealogy proof. Registration began at 8:00 a.m. Saturday. We received a nice FTDNA bag, T-shirt and bag. After grabbing coffee, tea, and water, we found a spot at the tables where we would spend the next two days. Pads of papers allowed us to write our questions and suggestions which were collected after each presentation. If time ran out, those questions were answered in a Q and A period at the end of the day. Max Blankfeld, Vice-President, welcomed us with some statistics on attendance ♠and asked for a show of h ands for those who are new and those who have attended all six conferences. Each was well represented. Max introduced Bennett Greenspan, President and CEO, who added more facts and thanked us all as without us the company would not be where it is today. Matt and Taylor explained that customers and scientists have different goals regarding genetic ancestry. For the consumer, ethical issues of unresolved paternity, consent for testing, uncovering genetic disorders, and unexpected ancestry can affect a person, and we as advocates need to clarify this to a customer, but that customers have an obligation to understand the possible outcomes of their testing. They reminded us that the tools for genealogy testing came from population genetics and that many Direct To Consumer (DTC) customers are interested in extending and confirming their family genealogy, and for those who are looking for health information really need to be tested for health markers. Family Tree DNA focuses on genealogy. 1. if anyone is concerned with identity (i.e., illegitimate births), you may not wish to test. Unexpected ancestry can affect some people. 2. nuances of ancestry will dispel the notion of race and the practice of equating race with ancestry. 3. inferring information from a population that has not been well sampled is not safe (i.e., determination of a tribe for a Native American ancestor). 4. testing with a company for genealogical purposes may give you some unique results, such as men with no Y-chromosome; women with a Y-chromosome, Nulls (absence of marker result), etc., but for interpretation of these one might wish to consult a genetic counselor. Dr. Michael Hammer, Biotechnology Research Scientist at the University of Arizon a, spoke of building genome-wide SNP (Single Nucleotide Polymorphism) databases and methods to predict individual ancestry from these databases. SNPs are used to determine haplogroups as they mutate once whereas STRs (Short Tandem Repeats) can multiply at random. The stability of testing SNPs allows the determination of haplogroups for various populations. When testing the Y-chromosome, the result is reported for STRs. A separate SNP test will determine your deep ancestry and link you to the Phylogenetic Tree (World Family Tree) which can then show you the migration pattern out of Africa. Dr. Hammer stated that it is possible to predict ethnic and geographical groups and that the information collected from the extreme populations around the world is easier to predict, but that prediction gets more blurry as you test the non-extreme populations. Ethnic origins in some areas are not highly predictable, especially in some areas of the Middle East. Isolation, genetic drift, or low number of tested samples could be the issue in some areas. This is a reason why testing does not give you as much accuracy below the Continental level. That is, there is high accuracy for assigning haplogroups for the Y-chromosome testing for these continental groups: Sub-Sahara, Oceania, Europe, East Asia and the Americas. Databases are being developed to deal with the interior of continental groups to create a regional population database. 1. There are 3 billion base pairs in the entire genome and 99.9 % of them are identical. 2. There are 3 million SNPs per person. 3. Taking the HVR1 test for the mitochondrial DNA has a low accuracy rate for determining haplogroups. The Full Genome Sequence (FGS) test is highly accurate depending upon sample size. 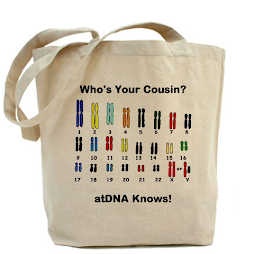 In this case you can get a longer string of letters and numbers for your haplogroup as in U5a1a). If you belong to a haplogroup which has few testers at this time, the details of the haplogroup are not as accurate; therefore, you may only receive a short haplogroup designation (i.e., HV). 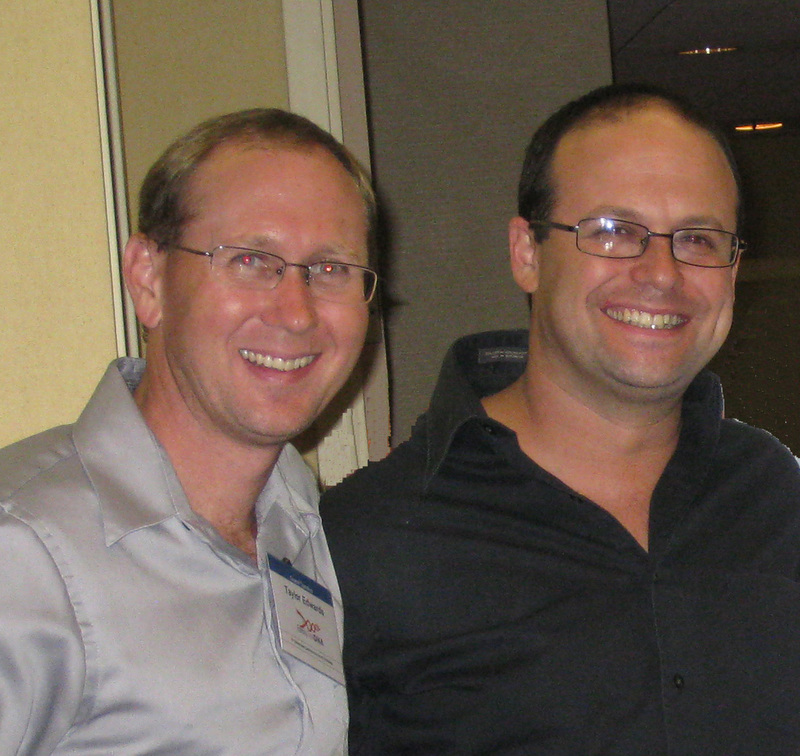 Doron Behar, MD, PhD spoke on Summarizing and Anticipation the Next Decade with NRY, mtDNA and Autosomal DNA. He reviewed some history of the DNA molecule which was discover ed in 1944. The double helix was discovered in 1953, and the first human genome project was completed after 13 years of research in 2003. In 2009 a complete genome analysis cost about $70,000. Dr. Behar thinks that the price may be reduced to $1,700. In 2004 the National Human Genome Research Institute issued a request entitled "Revolutionary Genome Sequencing Technologies: The $1,000 Genome for any interested company to sequence the entire genome for $1,000. 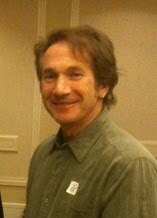 He clearly stated that although we have a common ancestor with the PAN chimps (http://en.wikipedia.org/wiki/Chimpanzee), we did not derive from them and gave us the following reminder that in 1987 the mitochondrial DNA from 147 testers form five geographic populations were analyzed. The conclusion was that all of these results came from one woman who is to have lived about 200,000 years ago, probably in Africa. Just after lunch there were several breakout sessions where I desired to have several clones of me to attend. As my Talley DNA Project Co-administrator Cynthia Wells was conducting one on how Family Finder can assist Y-DNA Projects, I joined her to help explain what we have discovered in our project and to clarify information on heterozygosis and homozygosis, at least on the basic level. David Pitts, Administrator of the Pitt Y-DNA Project and member of my Talley DNA email list attended Whit Athey’s presentation on “Phasing of the Chromosomes of a Family Group.” Whit states using the raw data from Family Finder for at least three children can allow most of the autosomal raw data for both parents to be determined. Having one parent with the children is best. In some cases, data from a cousin can help, and he demonstrated how using this data can help determine on whether the match is on the maternal or paternal side. He mentioned that each SNP in Family Finder’s raw data is reported in alphabetical order. Next Katherine Borges spoke on behalf of Susan Meates of the Guild of One Name Studies (GOONS). The presentation covered the origin of names which included toponymi c (place), occupational, topographic, and physical appearance. Name changes occurred for a variety of reasons, including a change of clergy, the Great Vowel Shift, personal preferences and in some countries, like Ireland, families took in orphaned children who were given the families’ surname. 1. Doug McDonald re-evaluated the 23andMe percentages for categorizing populations and improved on them. FTDNA bought the rights to his work for Population Finder. 2. The cost of the Family Finder test was due to the high cost of the Affy chip which is made only one company and who did not give Family Tree DNA a cost-break at this time. 3. For Family Finder, if you manage to keep the end blocks of a chromosome the odds are the segment will be larger. 4. Reconstructing the DNA of parents is possible IF there are enough children, but it can still be difficult. 5. FTDNA says that Family Finder is highly reliable up to the 3rd Great-Grandparents or five generations or about 125 years. The conference ended around 5:00 p.m., but at 7:00 p.m. everyone started gathering in one of the executive meeting rooms for ISOGG’s hospitality suite. Everyone was invited and from the looks of the crowd most everyone came. There was more food and drink than all of us could consume and hours were spent talking about the day’s activities as well as catching up on what friends had been doing for the past year. I was able to meet three attendees who are matches with me on Family Finder. As I had brought my charts with me, we perused them for any clues of a connection without luck. Most of the speakers and FTDNA staff were on hand to chat as well. The room was overflowing onto the mezzanine and down the hall. This was definitely the largest ISOGG gathering to date at the yearly conferences. Part 2 for Sunday's activities. Thanks to David Pitts for his notes as well.